Now, he didn’t say that, but that’s essentially what he means. I didn’t share this with you yesterday, folks, but I was in a funk for some of the period of yesterday’s show. Normally when I’m in a funk, I tell you, but I didn’t yesterday. I just worked through it. But the funk began when I was detailing for you the story of Mueller indicting these 13 Russian internet troll farms. Purely a PR exercise. He indicted a bunch of people he knew would never respond. He wanted to be able to say with a lofty press conference — which Rosenstein did — that they’d indicted 13 Russian troll farms for influencing the presidential election. Well, one of these troll farms, one of these three entities, Concord Management, decided to fight back, and they showed up and they’re ready to begin the trial tomorrow. It was the last thing Mueller expected! Mueller didn’t expect any of these people to ever show up in court, to ever try to defend themselves. That’s why he indicted them. He would get away with a one-way story. But one of these firms says, “You know what? We want to see what you’ve got. You think we did this? Okay, we’re showing up.” Mueller tried to get this delayed last Friday, tried to get the judge to postpone it on the basis that the Russian firm had not been properly served notice — i.e., there hadn’t been some guy so serve them a notice that they had been sued or arrested. Which is absurd! The service obviously was good enough, because the firm is here already in court ready to defend itself. But something just hit me, and it’s hit me before. But something just hit me while I was detailing this for you. RUSH: The Mueller thing. Again, one of the Russian firms actually accepted the charge that they had been conspiring to collude and upset the American presidential election. And they showed up, and they want to defend themselves. And Mueller asked the judge to delay it because proper service had not yet happened because the Russian government was not cooperating. And yet there was the firm. They’re in court; they’re ready to go tomorrow. This is the last thing they wanted. RUSH: Since I have a little bit more time here, let me start at the beginning of this, because it feeds into what I got bummed out about yesterday. And I’ll make that clear. This whole thing has bothered me for the longest time, but something just hit me yesterday that kind of rendered me somber. Just put it that way. On this grand announcement that Rosenstein made that Russian troll farms had interfered in the presidential election by buying ads on Facebook and Twitter and blah, blah, blah. We know that the amount of money involved was inconsequential. We know that the impact that these ads had was inconsequential. Most of the ad buys occurred after the election. The Russians, like everybody, thought Hillary was gonna win. Most of the Russian activity was to destabilize whoever they think is gonna win the presidency; in this case, it was Hillary. They were not working to help Trump. Nobody thought Trump was gonna win. Mueller knows all of this, which is what grates on me. So Mueller doesn’t have a shred of evidence, folks! Mueller doesn’t have a damn thing on collusion! Trump collusion, anybody with Trump collusion and Russia. They have got nothing. But does that stop Mueller? 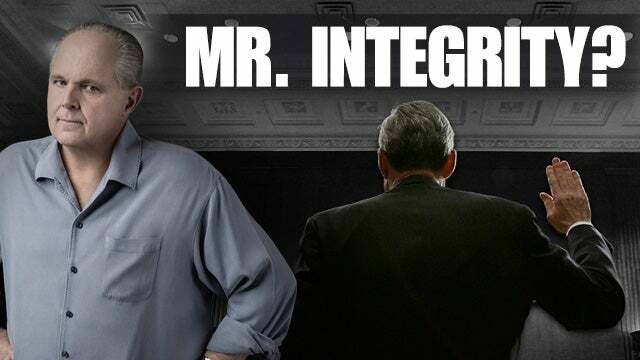 Does Mueller use his integrity and honor and say, “You know what? We’ve looked for a year. We’ve looked for a year and a half and we don’t find anything.” Does he shut it down? No. 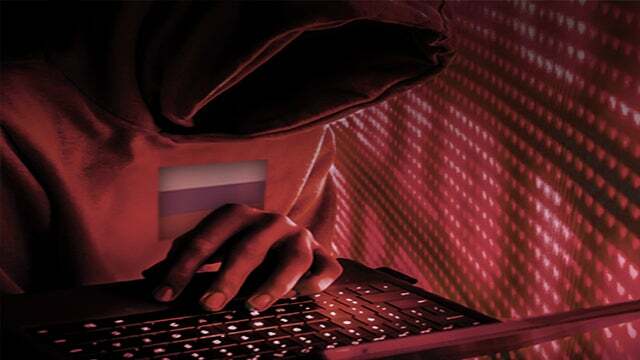 He comes up with a public relations move indicting 13 Russian troll farms and three Russian entities for attempting to interfere in the presidential election. “He charged not only Russian individuals but three Russian businesses. A business doesn’t have the same risks as a person. A business can’t be thrown in jail.” So Mueller was never really trying to have a trial. He didn’t want to ever have to present evidence. He didn’t want to have to try to convict these people, ’cause he doesn’t have anything to convict them with. So he does this phony-baloney press conference with Rosenstein announcing these indictments of people he knows will never respond. People (Russians) he knows will never appear. Russia will not extradite them. Putin will not send them. There will never be… This is Mueller’s thinking. There will never be any action on this. So he’s got a pure one-way street here. He can indict these guys and he can announce they’ve done anything, and they aren’t gonna do anything about it. And the press conference serves as a gigantic PR move to further this lie that Trump and Russia colluded! Somebody with the highest integrity and honor does not do this kind of stuff, and that’s what we’ve been told Mueller is: The epitome of integrity and the epitome of honor. Well, the Russians in this case are not stupid. And one of these three entities that Mueller indicted is an outfit by the name of Concord Management — to be precise, Concord Management and Consulting — and they have decided they don’t like being slandered. They don’t like being accused of things like tampering with a presidential election via ad buys they made on Twitter and Facebook, and “wants its day in court.” And they went out and hired a law firm in Washington. The law firm they hired is “Reed Smith, two of whose partners, Eric Dubelier and Katherine Seikaly, have told Mueller that Concord is ready to have its trial — and by the way, let’s see” what you have on our clients. We’re demanding discovery. You have sued, you have indicted us; we want to go to trial to defend ourselves. And we, therefore, need to see what you have, and the law requires that you disclose it to us, including “all the [evidence] the law requires you to disclose, including all the evidence you say supports the [silly] allegations in the indictment” of yours that we interfered in the presidential election. Well, this is the last thing Mueller expected to happen. These people were not supposed to respond at all. They’re not in any legal jeopardy because there’s never gonna be a trial, in Mueller’s opinion. They’re in Russia. They’re in Ukraine. They’re not gonna show up. Mueller’s thinking is, “This is a freebie!” He gets to announce these arrests and these indictments — well, these indictments, not arrests — as a freebie ’cause nobody’s gonna oppose him. Well, this one firm, Concord Management and Consulting, did. So the Mueller team immediately seeks a delay, a postponement. And the way they did it was to suggest that Concord Management and Consulting “had not been properly served.” Had not been properly served? You’ve got the defendant already hiring a law firm, ready to show up in court, and Mueller is saying they haven’t been properly served so he needs a delay? Look, “service” is simply the means by which a party seeks what Mueller already has: The opposing party’s appearance in a lawsuit. Serving them with a suit to get them to show up. Well, they don’t need to be served. They’re here! They’re ready to have a trial. They want to start their trial tomorrow. So Mueller’s argument for delay is preposterous. “In order to serve the defendants in a criminal case in which Mueller alleges that Russia is an adversary government that conducted espionage operations against the American election, the Justice Department sought the assistance of … the government of Russia,” and they haven’t helped. Yet Concord is here. They’ve hired lawyers. They don’t need to be served. They, A, already accepted it, because they showed up. 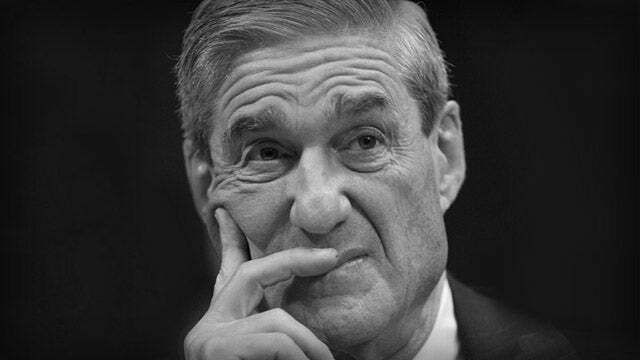 So what have we been told about this man, Mueller? For as long as I’ve heard the name “Robert Mueller” — and I don’t know when I first heard it, but it’s many years ago — I’ve heard that he is the epitome of integrity in Washington. That if ever there is a man who is above the fray in political Washington, it’s Robert Mueller. That he has integrity, more integrity in his little finger than all of Washington has in two hands. The never-ending praise and accolades for the fairness, the open-mindedness, the nonjudgmentalism, the integrity and the honor of Robert Mueller has been his hallmark that has been his reputation for as long as he’s been in Washington. As either the FBI director, assistant attorney general — he’s served a number of presidents in a number of positions — his reputation is impeccable. And if you ask me, none of it’s true, and none of it is warranted. To me, this guy, Robert Mueller, personifies actually what is wrong with the Washington establishment, not what is right about it. No more integrity than this guy has. More honor than anybody else. I mean, he’s the personification of Dudley Do-Right. If Robert Mueller were this honorable person — the right choice to get to the bottom of this for the sake of the nation, for the sake of our culture, for the sake of doing the right thing — then he would have shut down this investigation long ago and lectured everybody about the improprieties and dangers involved in all of this. He would have exposed the conspiracy and the corruption in the FBI that prolonged this, and he would have named names. He would have properly looked into real collusion between Fusion GPS, the Hillary Clinton campaign, the Democrat National Committee and the Russians and Christopher Steele. He would have exposed it! He would have been the one to tell us that the Steele dossier was fake, phony, and fraudulent. 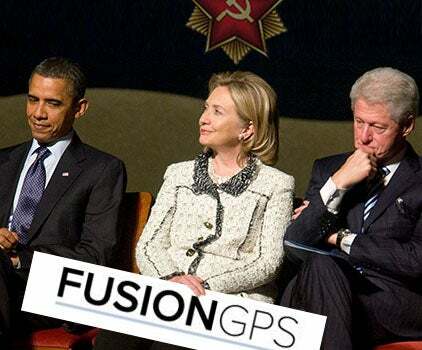 He would have been the one to tell us that the Steele dossier had been illegally used to get a FISA warrant to spy on Carter Page and whoever else that the Obama team wanted to spy on. And then of course we find out that in the Whitey Bulger case, four people — innocent people — spent 30 years in jail when he knew they didn’t do it. Two of them died in jail! And one of the reasons was so he could protect the identity of a confidential informant. There isn’t any integrity here, and there isn’t any honor, and it doesn’t appear there’s any justice going on. So now we see that Rudy says that Mueller’s team shouts down the idea of written interviews with Trump. Yeah, well, look. I’m not an idiot, and I can tell when somebody is not interested in the information or getting the facts, because we already know them, and they’re being ignored. We know this investigation is largely a cover-up. This whole investigation, if you get right down to it — led by the man with the greatest integrity and the highest honor in Washington — is actually a cover-up for all of the things the Obama administration and the Clinton campaign and the Democrat National Committee engaged in to try to taint the election. That’s what all of this is. It is a cover-up designed to convict and get rid of Donald Trump, simply for having the audacity to win the election. It’s not that I believed all this hype about Mueller’s integrity and honor. It’s the realization that there may not be any. It’s the realization that there may not be anyplace else in that town to go to actually have justice adjudicated. And I’m not naive. You know, I’m not a Pollyanna here. But this is all literally outrageous, what is happening here. And it just insults my intelligence to have to deal with the fact that all of this is happening under the auspices of the individual with the greatest integrity, reputation, and honor Washington has to offer. RUSH: I just got a note from my buddy Andy McCarthy. Apparently… You know, when Mueller was factoring in this entire PR adventure of announcing these indictments of these 13 Russian entities, individuals, businesses, whatever the hell. Doesn’t matter. That he calculated that none of them would respond. There would never be any trial. There would never have to be any evidence presented because these Russian entities wouldn’t be foolish enough to contest this. He placed a big bet on this, and he lost. And you never know. When you engage in this, when you start indicting people, you never know what judge you might get, if people show up in court to fight the case. Mueller clearly didn’t expect to show up and fight this case. He thought… He and Rosenstein thought that they had a slam-dunk PR winner. So this judge that refused Mueller’s request to postpone all of this because of improper service, the lack of assistance by the Russian government. The judge, Dabney Friedrich, was appointed to the U.S. District Court for the District of Columbia by President Trump in 2017. Trump appointed the judge that just told Mueller, “Sorry. You don’t get your postponement.” Judge T. S. Ellis in Virginia, appointed by Ronaldus Magnus, who read the Riot Act to Mueller’s prosecutors there and basically laid bare their motivations and intentions in pursuing Paul Manafort for crimes committed long before Trump even thought about running for president, much less did. So in our criminal justice system, it does depend on the judge you’re gonna get. And it’s yet another exclamation point for the old cliche that elections have consequences. So I don’t know where this is going next. We’ll just have to see. These people are showing up in court. They want their day in court. They want to see the evidence. This could be… I don’t want to get ahead of things here, but this could be a much more important or bigger thing than anybody is thinking about right now. Because these Russians have demanded to see the evidence that Mueller has, and they are entitled to it. They have been indicted for influencing, illegally attempting to influence the outcome of a presidential election, and Mueller doesn’t want to pursue it. The safest thing Mueller could do right now is to drop the indictment. And can you imagine the PR risks associated with dropping the indictment. I mean, Trump colluded, right? That’s what all this is about. Apparently he’s got evidence. He indicted a Russian firm. But they’re not gonna see the evidence. I’ll lay you 10-to-one Mueller never displays it because he doesn’t have any. RUSH: Back to the phones. Jacksonville, Florida. It’s Greg. Welcome, sir. 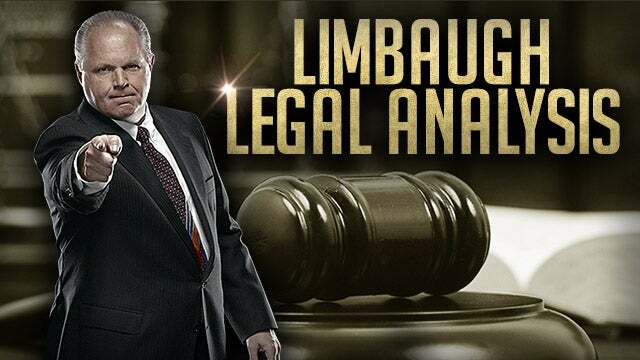 RUSH: He could do that. I want to re… Look, you’ve given me an opening here to make a point that I made yesterday, and I know that this skated past people. So I want to make this point again because this is important. It goes right along with your point here about Mueller being fired. On Friday, the House Intelligence Committee released its report that featured unredacted comments of a bunch of documents from the FBI and the DOJ. For months now the Congress has been seeking various documents from the FBI related to all of this, this investigation and the stuff they’ve got has been heavily redacted, and the DOJ and the deputy attorney general Rosenstein have been saying, “Nope. You’re not entitled to it. This stuff is national security related. We can’t divulge it.” They insisted and they insisted — and finally, some unredacted stuff was presented. And what we learned, after studying it over the weekend, was that the stuff that had been redacted was simply to protect the incompetent and perhaps biased procedures that they had engaged in at the FBI and the DOJ throughout this entire investigation. There was nothing national security related. It had all been redacted simply to cover up what Strzok and Page had been doing. It had been redacted to cover-up that Comey had been lying to people. Comey did tell people that Flynn did not lie. Comey did tell people that he had talked to interviewees, people who talked to Flynn and nobody that interviewed Flynn thought that he had lied and yet here he’s pled guilty to lying? Now, the point that I made is Trump enjoys, I think, the political position of victim. He likes being able to tweet out all these things that Rosenstein and Mueller and the rest of these people are doing. Trump has the constitutional authority to unredact anything. This stuff could have been ordered unredacted months ago. All Trump has to do is pick up the phone and call Rosenstein and order it done. The president can declassify anything. But he hasn’t. He has instead enjoyed tweeting about how unfair it is and about how ridiculous it is and how somebody needs to do something. Because I think Trump’s lawyers have got him convinced that if he did that, that he would be guilty of obstructing justice — and he’s dead wrong, and they’re dead wrong. If the Congress — the elected representatives of the people who created the DOJ! The DOJ’s not in the Constitution. Congress creates the DOJ. They have oversight. If they command to see something, Trump can make them reveal it, and that’s not obstructing justice. But Trump’s lawyers are scared to death that any move — firing Mueller, unredacting this stuff, declassifying — would be seen as obstructing justice, obstructing the investigation and that Trump would be hurt politically. I think it’s the exact opposite. I think people would dance in the streets if Trump ordered these people to come clean with what they don’t have and end this.